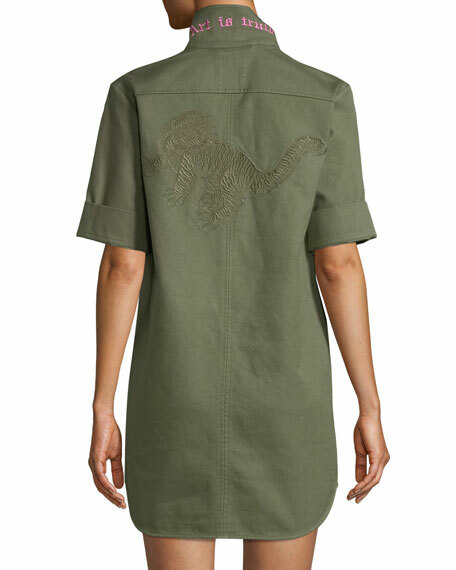 Zadig & Voltaire "Record Brode" twill shirtdress with embroidery at back. Spread collar; plunging, lace-up front. For in-store inquiries, use sku #2523283.